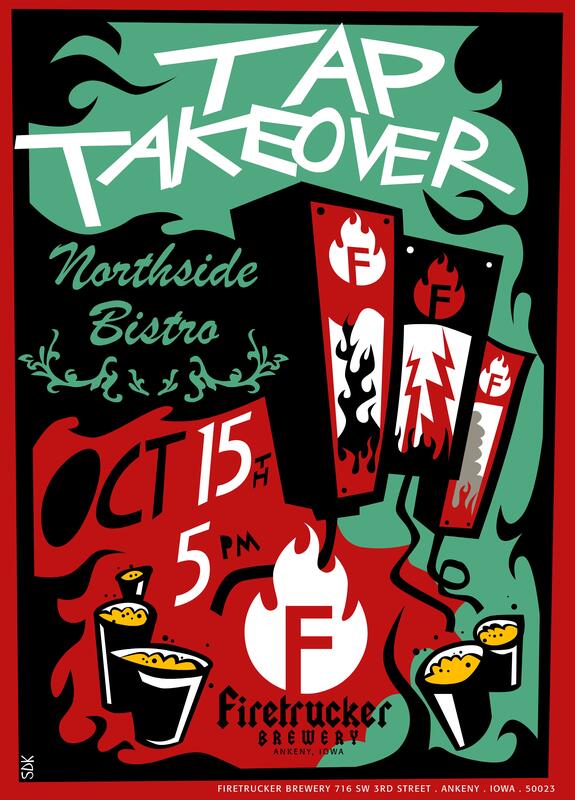 Firetrucker Tap Takeover @Northside Bistro, Iowa City October 15th! Firetrucker Brewery out of Ankeny will be bringing some of their fine beers down I-80 and will be having a tap takeover at Northside Bistro in downtown Iowa City. Hopefully, I’ll have more info on the beers available in the coming days so stay tuned.